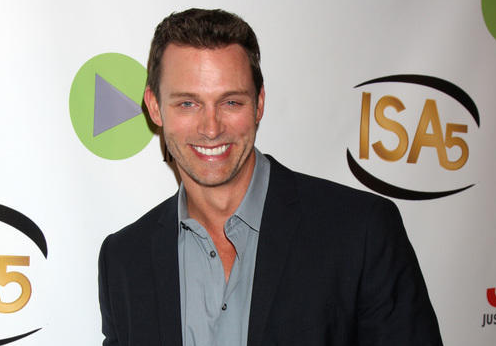 Emmy Award-winning Days of our Lives star Eric Martsolf will host the 6th Annual Indie Series Awards on Wednesday, April 1 at the historic El Portal Theatre in North Hollywood. The awards show celebrates the best in independently produced, scripted entertainment created for the Web. "We are thrilled to have a multi-talented artist like Eric Martsolf on board," said Indie Series Awards founder Roger Newcomb. "He has won rave reviews for his work on stage, television and the web, and we think he's the perfect person to host this year's ceremony. It's going to be a night to remember." "Anything can happen at the ISAs," said producer Susan Bernhardt. "Having Eric as host ensures the Indie Series Awards will once again be one of the most entertaining awards celebrations of the year." With over 3000 episodes of television under his belt, Mr. Martsolf has been providing "love in the afternoon" with NBC Daytime for the past 13 years. His portrayals of Ethan Winthrop on Passions and currently Brady Black on Days of our Lives have resulted in numerous industry accolades-the zenith being his Emmy win in 2014. His television credits expand into primetime (Extant, Smallville, NCIS, Rizzoli & Isles), and his musical theater repertoire consists of over 40 productions, including his critically acclaimed role as the Pharaoh in the Osmond Broadway Tour of "Joseph and the Amazing Technicolor Dreamcoat." He has also starred in the hit web series Acting Dead, The Bay, Venice and Miss Behave. Mr. Martsolf resides happily with his wife Lisa and energetic twin boys in California. The Indie Series Network will once again be the charity sponsor for the Indie Series Awards. Nominations for the 6th Annual ISAs will be announced on Wednesday, February 4 at 3 p.m. ET/12 p.m. PT on a special episode of Serial Scoop Now. For more information on the Indie Series Awards, visit IndieSeriesAwards.com.